This is a great way to try all 10 Jo Malone Type fragrance oils that we carry. White Jasmine & Mint By Jo Malone Type: The scent of jasmine, lily, orange flower and rose with a twist of soft and sensual wild mint. Blackberry Bay Jo Malone Type: A burst of deep, tart blackberry juice, blending with the freshness of just-gathered bay and brambly woods. French Lime Jo Malone Type: The scent of sweet lime blossoms with a twist of bergamot and tarragon. Lime Basil Mandarin Jo Malone Type: Zesty twist of lime with peppery basil and white thyme notes. Mimosa Cardamon Jo Malone Type: No further description at this time. Nectarine Blossom & Honey Jo Malone Type: No further description at this time. Orange Blossom Jo Malone Type: The scent of clementine leaves, orange blossom and water lily. Peony & Blush Suede Jo Malone Type: A beautiful scent of peonies in voluptuous bloom. Mingling with the sensuality of soft, blush suede. Woodsage & Seasalt Jo Malone Type: Fresh sea salt mingled with the woody earthiness of sage. English Pear & Freesia: Top note of pear with middle notes of freesia blended with patchouli. All of our fragrance oils are sold full strength with no carrier oil added. The exception is our roll-ons, we add .33% Jojoba Oil. This makes it gentle to the skin without changing the performance or fragrance of the oil. If you prefer that we do not add the Jojoba oil please let us know in the comments/notes section of your order when checking out. All of our oils are skin safe but are meant to be added to a product or carrier oil before using directly on the skin. If you would like any of our other sizes of oils to be ready to wear directly on the skin we will gladly add Jojoba oil to them. Please let us know in the comments/note section of your order when checking out. 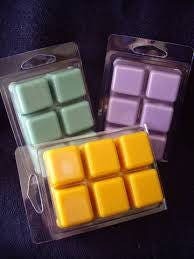 We will gladly make wax melts / tarts, candles & soap in any of our fragrances. Please just make a request. What is fragrance oil used for? Fragrance oil can be used as perfume, cologne, body splash etc. It can be added to wax to make fabulous smelling candles, wax melts/tarts, massage candles etc. It can be added to handmade soap base as fragrance. You can make your own body lotion from scratch or add it to any unscented lotion from the store. Add a few drops to your bath or to a foot soak. It can be made into a spray and used as body spray, linen spray, room spray, and air freshener for your home or automobile. Bath bombs & bath salts can be scented with it. Make a handmade sachet or refresh one you have that the scent had faded. Put a couple of drops on your cats litter mat. Diffuse it in an electronic diffuser. Warm it in a oil warmer. Put a drop or two inside your toilet tissue or paper towel roll for a nice surprise of fragrance. The possibilities are only limited by your imagination. Our oil is full strength and a little goes a very long way! The photographs that we use for our fragrance and essential oils are stock photos. THE PHOTO REPRESENTS THE FRAGRANCE OR OIL NOT THE PRODUCT PICTURED. All of our fragrance oils are packaged in high quality HDPE or PET plastic bottles with twist on cap. (flip top caps are available to purchase separately). The exception of this is our 1/2 size which comes in an amber glass bottle with a black phenol cap with poly vinyl liner (glass eyedroppers are available to purchase separately) & and all of our roll on bottles. WE USE CALCULATED SHIPPING ESTIMATING THE WEIGHT - SIZE - AND DESTINATION OF THE PACKAGE. About Fragrance Oils : Fragrance oils are commonly used to create body lotions, candles, and soaps, as well as perfumes and mists. 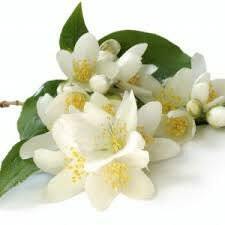 When you read the ingredients on a bath and beauty label or a cleaning product etc… , the ingredient that is listed as fragrance is what this is. Due to the proprietary blends that comprise fragrance oil it falls under trade secrets and the ingredients are not required to be listed. No manufacturer lists the ingredients in their formulas for fragrance oils. Fragrance oils are a synthetic blend formulated to smell like fruit, flowers, food etc.. they also are blended to duplicate brand name perfumes and fragrances. Fragrance oils are not the same in anyway as essential oils. Please see the description of essential oils on our essential oil listings. When well-sealed and stored out of direct sunlight, a fragrance oil can have a shelf life of about one year, though many will last longer. All of our fragrance oils are full strength, we do not add any kind of carrier, (see above statement) and they are all skin-safe. Please make payment upon purchase, or you can pay with a check or money order, but please be aware that this slows shipment down considerably. We ship predominately USPS. We also use UPS but only for very heavy items or items that must go ground. We will ship LTL, but it is the customers responsibility to set that up as well as paying the carrier directly. We do not us Fed Ex at this time. We will ship internationally but on a case by case basis. Contact us to see if what you would like is something that we can ship to you. Customs rules for importing fragrance are very different from country to country and change regularly so we always like to make sure that we can ship to you before we take your order. We are unable to accept fragrance or essential oil as returns. The same is true of butters, carrier oils and soap base. We are unable to reuse/resell these items. If there is something wrong with your item (defective) we will replace it but we do not offer refunds on these products. We offer free samples of our fragrance oil as well as sizes as small as 10 ml. With our other products such as diffusers, oil burners, bottles, lids etc. we have a satisfaction or your money back guarantee. Refund does not include original shipping or return shipping. Please know we will always do everything possible to make things right, even though we cannot accept returns on the above items we have many other ways to ensure that you are satisfied. Thank you for your understanding. Well packaged, amazing scents, very impressed!